GTM Owners Club Forum - View topic - Disc cvs and Drums a brief how too. Disc cvs and Drums a brief how too. 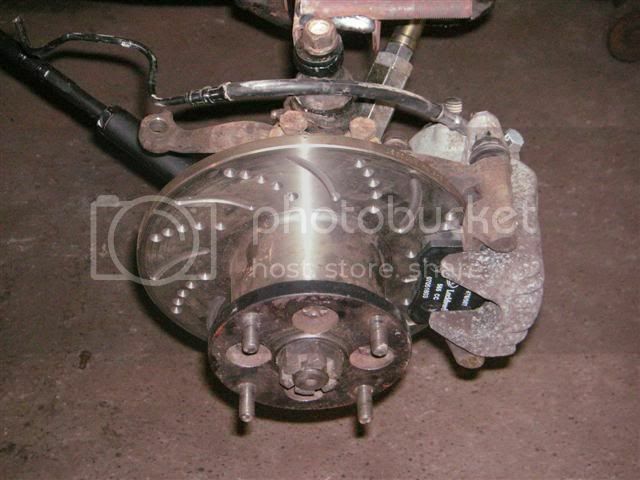 Whats needed in addtion to your Existing drum brake setup. A method for spacing the backplate or Drum correctly. Remove your existing drum the whole lot including back plate, cv joint, drive flange and upright. Swap the Disc Cv on to the driveshaft. 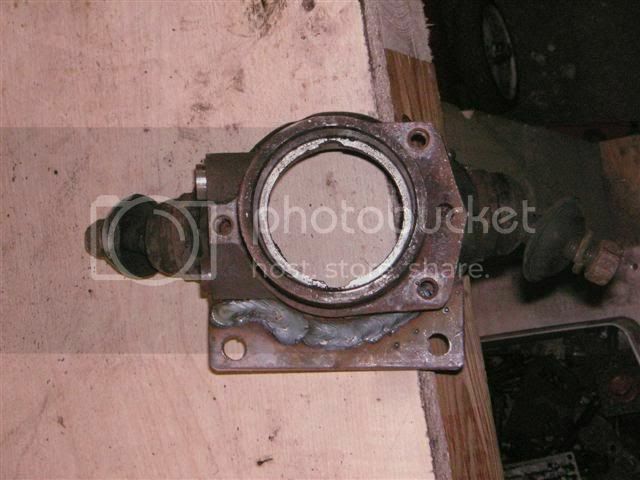 Refit the hub including bearings, [either ball or taper bearings can be used remember the spacer between the bearings. The drum will need modifing to bolt up to the driveflange simular to how a disc is i.e Wheel-driveflange-disc[drum]-upright, How I did mine was I made an alignment tool to align the drum to the drivflange to keep it central and drilled my own 4 bolt PCD into the drum and taped the driveflange suitably offset from the exsiting holes. I used Hightensile M8 bolts. Another method that may be possible is to space the drum either with a spacer, or modify a Mini Spacered drum and have it turned down to the right height Before bolting it to the driveflange. 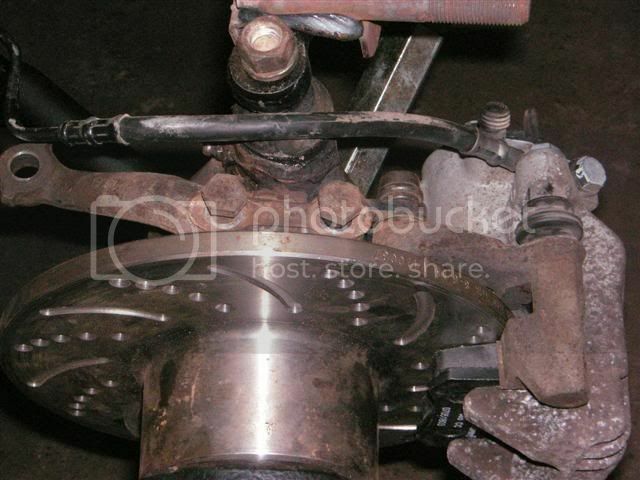 Thus leaving the drum backplate attached to the hub as normal, this would be the way I would be looking to do it ,if I did it again. The Spacer could be really trick be a spacer a pcd adaptor and locator for the drum. the spacer has a locating spigot to locate the drum on the driveflange, and has 8 threaded holes, 4 on a suitable pcd to accept the drum and 4 for the driveflange, all attached with high tensile bolts. One draw back is to remove the drum to clean out dust etc you have to undo the CV nut everytime i.e the 120lbft one. Also by fitting the Disc cv/driveflange you will get the Track increase associated too especially if going from a drum set up with no wheel spacers so please be aware of this. Re: Disc cvs and Drums a brief how too. Thanks for that Neil, I think i'll go for discs on the rear, with Golf calipers. I was told that Golf calipers would not fit under 13 inch wheels, But I was not told on what disc upright combination that was tried upon, I spoke to Rally design a few year back as they had a good deal on a set of new calipers, so might be worth a punt at some secondhand calipers first for trials/mock up before commiting fully to Golf calipers. I can confirm that cosworth calipers fit with 9 inch discs. Alos mgf calipers fit with 8.4s as seen this done. Thanks for the info Neil, it's just that I have a good mate with a shed full of Golf bits, so they'd likely be free, but i'll look at other stuff too. 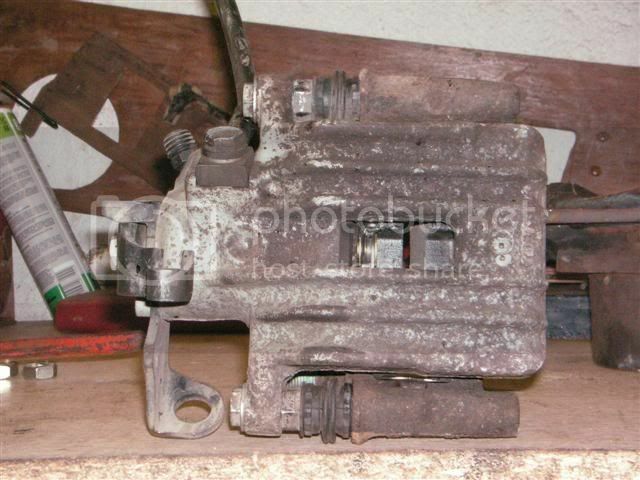 Golf calipers will fit on a std 8.4" disc, I have them on mine, I have had to slightly modify the std pad as it extends off the disc, they were Mk 4/5 rears with hand brake function I took mine off a TDI but I'm pretty sure they are all the same throughout the range. Been asked about this recently and have had another idea how this bit may be achieved. Mounting the Drum to a Cooper s driveflange there may still be the need for a locating spigot, then the the option of using the standard wheel pcd to fix the drum through the driveflange becomes a viable option.